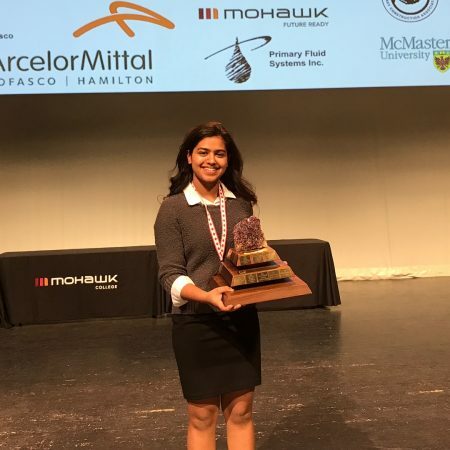 Congrats to high school student Anika Gupta as she heads off to the international science fair! 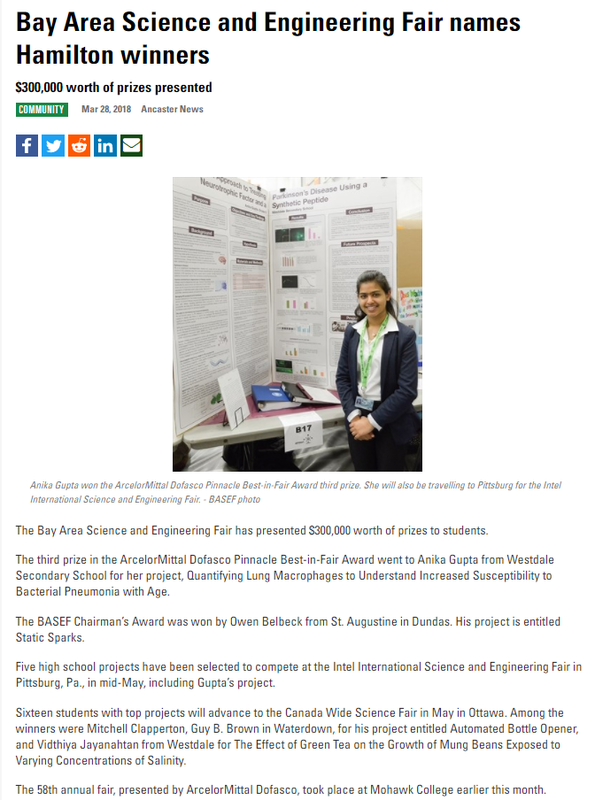 The Bowdish lab was very proud to host Anika Gupta, a high school student, for her Bay Area Science and Engineering Fair (BASEF) project. 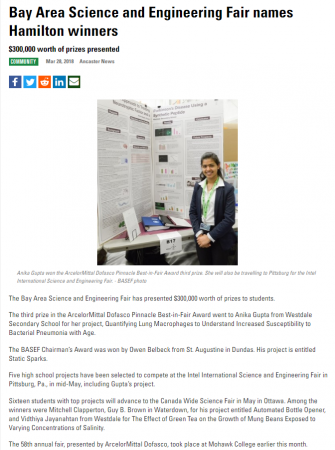 Anita won the Dr. Doyle Biology Award for the best Biology project, a Gold merit award as well as the Pinnacle Award for the Third Best in Fair and a sponsored Trip Award to compete in the Intel International Science and Engineering Fair in Pittsburgh, Pennsylvania in May! Anika Gupta receiving the third place “ArcelorMittal Dofasco Pinnacle Best-in-Fair” award. This entry was posted in News and tagged aging/elderly, BASEF, community involvement, immunosenescence, infectious disease, macrophage, science fair, student by Dr. Dawn M. E. Bowdish. Bookmark the permalink.